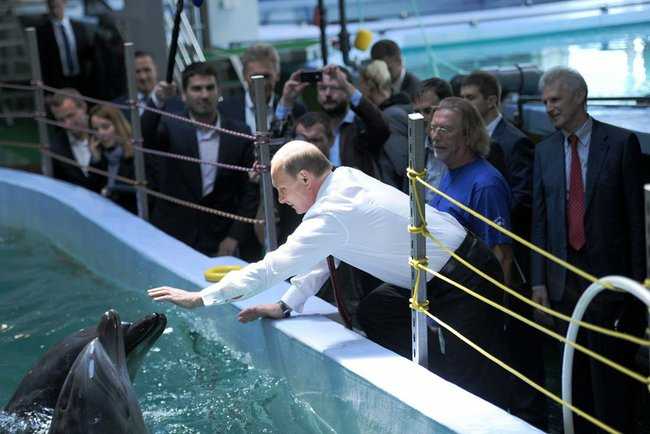 President Vladimir Putin has spent the past week engaging with a wide range of wildlife, judging from the pictures posted by the Kremlin press service. Putin, who is known for mugging with animals, spent time with them rather than Barack Obama after the U.S. president canceled a summit scheduled for this week amid tensions between Moscow and Washington. 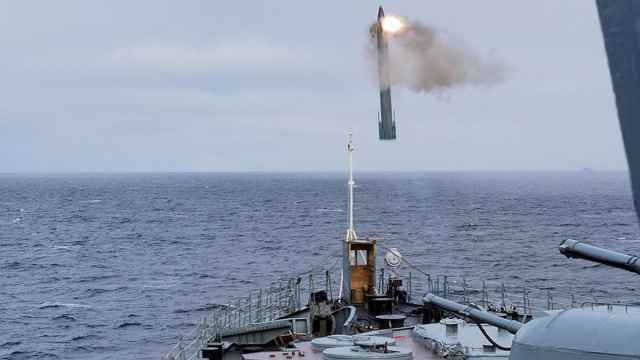 Putin, however, will see Obama later this week at the Group of 20 summit in St. Petersburg. 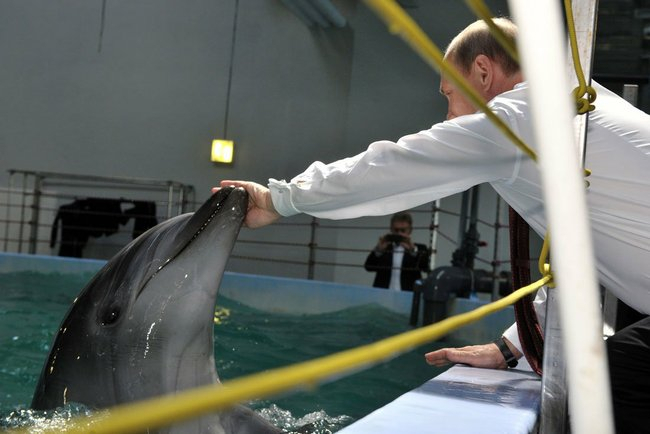 Still, with animal friends like these, who needs other world leaders? 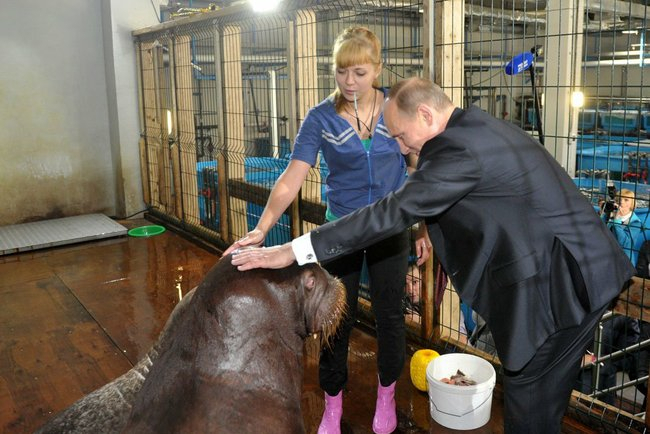 On his visit last week to the flooded regions of Russia's Far East, Putin once again showed his concern and affection toward the plight of wildlife and other animals. Students at School No. 7 in Kurgan had an opportunity to witness the president's artistic talents with an impromptu live sketch act during his visit to commemorate the first day of the school year Monday. A screen grab from RT television of the president admiring his artwork. 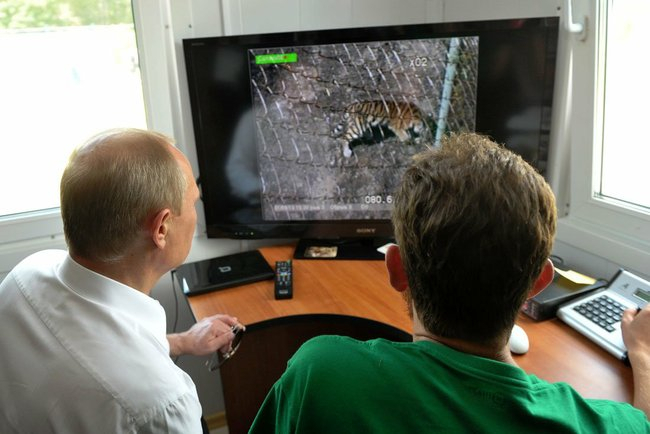 Putin's weekend visit to the Center for the Rehabilitation and Reintroduction of Tigers and Other Endangered Animals in the Primoroye region saw him observe the rehabilitation of two tigresses that had been delivered to the center from Khabarovsk region nine and eleven months ago, Itar-Tass reported. He told journalists not to show the results of the animals' release back into the wild in case poachers would find out where they were located. 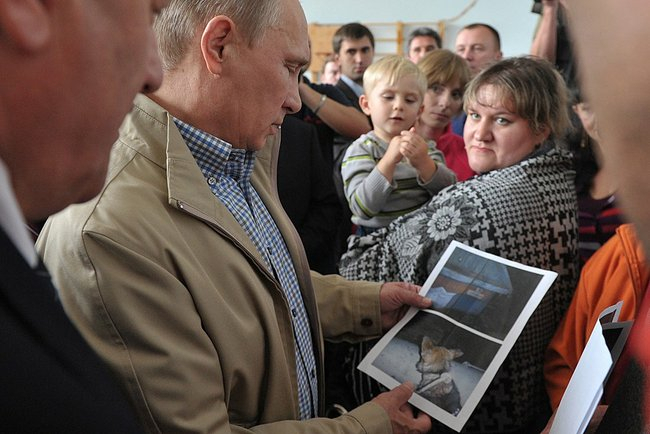 Putin stopped at the far eastern port city of Vladivoktok and spent some time with the locals there. They were residents of Primorsky Aquarium, a marine park currently under construction on Russky Island, located in the Sea of Japan off Vladivostok. 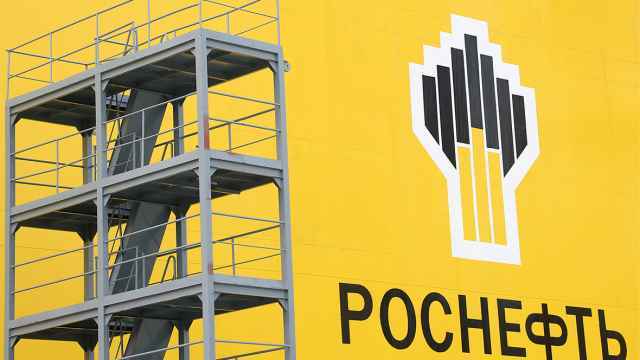 When completed, it will be the world's largest covered dolphinarium. 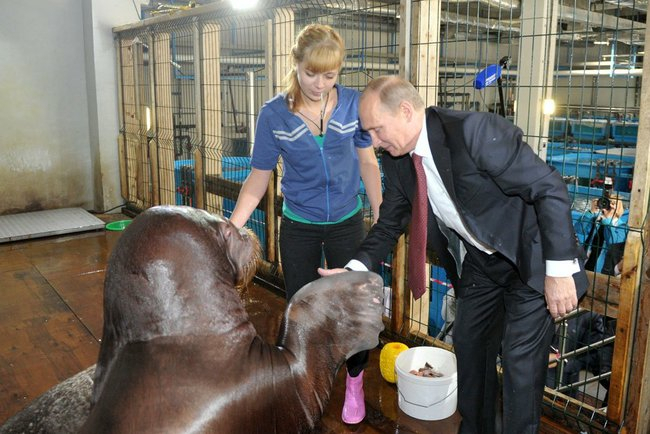 At the marine park, Putin watched brief performances by walruses and dolphins. Being the president certainly carries some privileges, and his backstage pass allowed him a photo op with the stars of the show.